Bulchee brings you this belt, which will be a fine addition to your accessory collection. 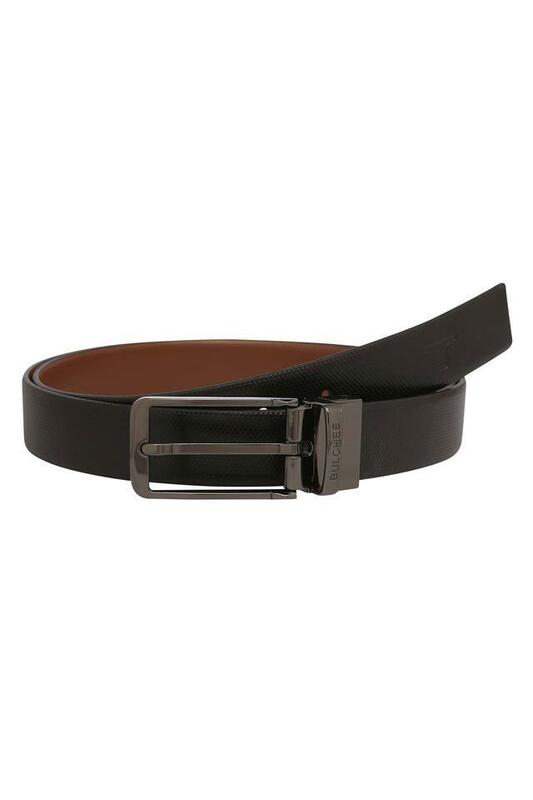 Moreover, it comes with a buckle closure that will provide you with a proper fit. Besides, it has been made of leather that gives it a refined finish while the neat detailing further gives it some edge. You can team this belt with any formal bottom wear and a shirt to complete your look. Made of leather, it can be worn on a regular basis.